There’s a rumbling in Manchester. 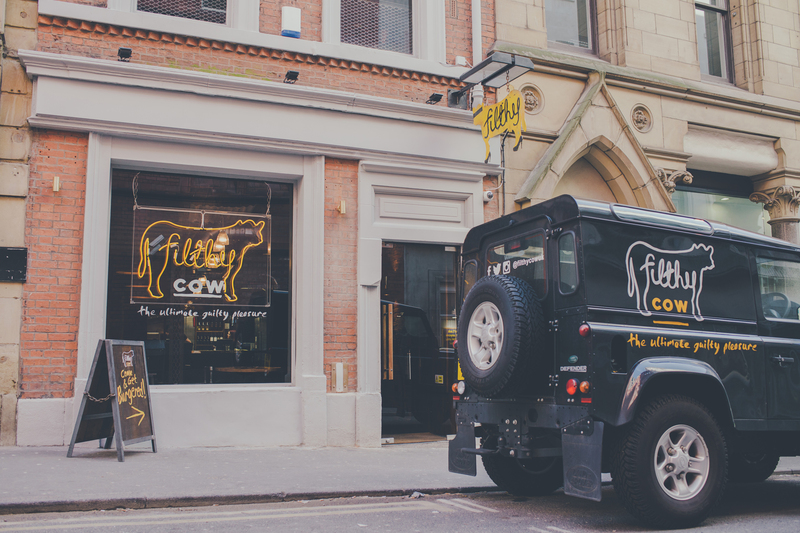 Overnight the filthiest streets have been given an overhaul by highly-anticipated new burger bar, Filthy Cow. 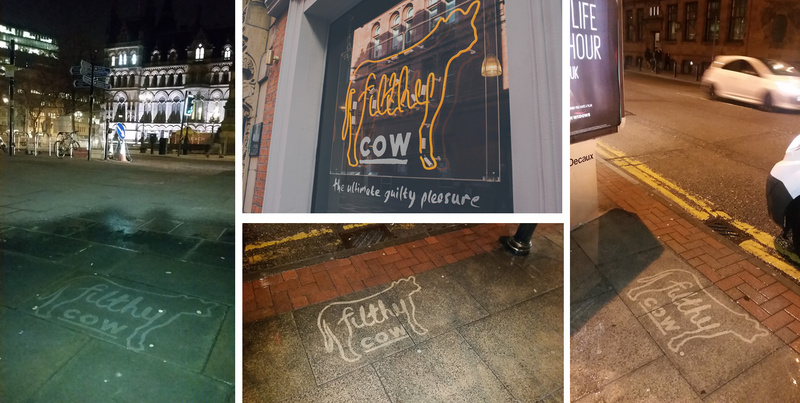 Blasting the streets clean with their ‘filthy’ logo, Filthy Cow has caused a stir across the city. The brand new burger joint has set tongues wagging since the recent opening of its doors on Tib Lane this weekend. Not only does Filthy Cow offer the most indulgent quality burgers, but also a saucy interior design punctuated by farmyard influences. The craze is taking over Manchester, posing temptation for carnivores at every corner.